No more resistors! New 4.8 high performance bulb, We designed a new driver specifically for the 1090,1190 and 1290T Now 9600 Lumens! Put the new 1290R's led headlight to shame. 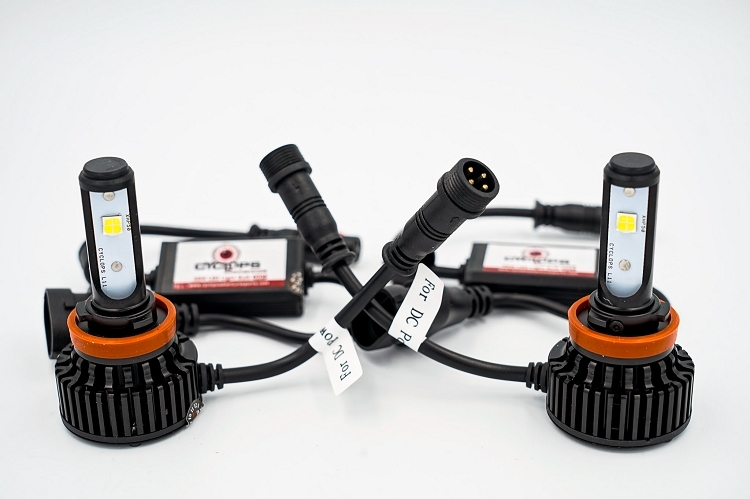 Includes 2X 38 watt 4800 lumen LED headlight bulbs using the latest Cree emitters. Low heat and plug and play. New for the KTM 1090/1190/1290 ADV. 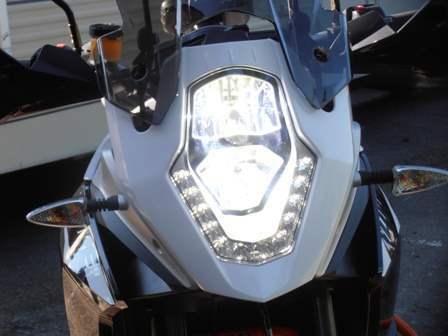 If you own a KTM 1190 Adventure, you feel my pain as it relates to the weak headlight from the stock system!! Before leaving on a three day trip, I purchased and installed the "LED Bulb Replacement Kit" from Cyclops. The difference is dramatic to say the least! Seeing at night as well as, being seen is top priority for most riders. This is a must for KTM Riders. Thank you, to the helpful folks at Cyclops for offering great customer service as well! Worth every penny! 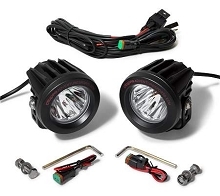 These lights are not only designed well, installation was straight forward and performance difference between these and the stock bulbs is "night and day". Thanks for the great product...and same day shipping! Seldom do I come across a product that beats my expectations. 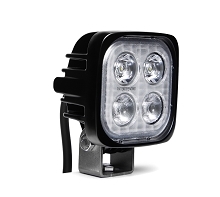 The Cyclops 1190 LED headlight upgrade did exactly that. Not only is the low beam much more pronounced the high beam is fantastic. No need for aux lights with the LED Bulb upgrade kit. I purchased these for my new 1190 after a night ride that left me feeling a bit underwhelmed with the Big KTm's headlight. The install was easy after getting the headlight off the bike. The bulbs fit well and the instructions where clear. I was pleasantly surprised that the lights added a good deal of daytime visibility to the bike, the night time performance is also much improved. Thanks for offering a solution for the 1190! Picked up a set of these to replace the bulbs in my '18 1090 Adventure R and cannot understate the improvement they make over stock. Exceptionally bright and throw a long distance when engaging high beam. I was considering adding some aux lights but now I don't think I need them. Install was simple- plug & play. No canbus errors at all. Highly recommended! A huge difference. The OEM headlights was a complete disappointment. Really, You begin to see the road on the night, and the value is low compared with the quality and performance.